2D games aren't just fun to play, with this book they're a blast to develop. That's because the guide takes you through every step of creating a fully featured platform game using Unity 4.3, easily and imaginatively. Unity is a game development ecosystem: a powerful rendering engine fully integrated with a complete set of intuitive tools and rapid workflows to create interactive 3D and 2D content. Unity 4.3 has introduced a variety of exciting new features, and it is about time you use these features to build an amazing 2D game. Prepare yourself to travel back to the 90s and build a game like they used to make them using today's technology. That's right; we're talking about making 2D games using Unity! This book will help you build 2D games in Unity using the engine's 2D technologies added in Version 4.3. You'll learn the basics of importing assets and building foundation technology all the way up to full combat and boss battles! All the required assets are supplied and detailed code is included, making it a cinch to create functional players, dangerous enemies, a treacherous environment, gameplay scoring, and much more. With the book's straightforward and practical approach, each chapter takes you a step closer to the final game. We will wrap things up by looking into the basic aspects of the game's UI. Once you reach the end and have integrated a final boss battle, you can go back to the challenges included in each chapter and use them to improve the game and your 2D game development skills! A fun, easy-to-follow experience that takes you from an empty project in Unity 4.3+ all the way to a finished, functional 2D platformer, while giving you challenges and ideas to take what you learn in this book and expand upon it. 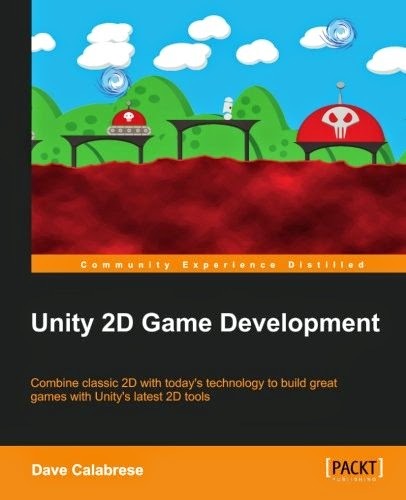 This book is ideal for anyone who wants to learn how to build 2D video games or who just wants to expand their knowledge of the Unity game engine. It would be helpful to know how to navigate your way around Unity and some basic C# before getting started with this book; however, if you don't, no worries - we will point you in the right direction!